Professor Madeleine Atkins, DBE, is a Fellow of the Academy of Social Sciences. 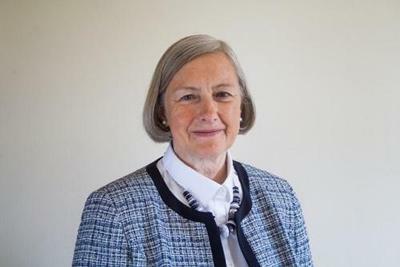 Since 2018, she has served as the 9th President of Lucy Cavendish College at Cambridge University. She was a school teacher before completing a Ph.D at Nottingham University and undertaking various research projects as a postdoc. She then joined Newcastle University as a Lecturer in Education Management, where she rose to be pro-vice-chancellor. She was vice-chancellor of Coventry University from 2004 to 2013, and then served as Chief Executive of HEFCE from 2014 - 2018.